As the world's most vital region, Asia embodies explosive economic growth, diverse political systems, vibrant societies, modernizing militaries, cutting-edge technologies, rich cultural traditions amid globalization, and strategic competition among major powers. As a result, international relations in Asia are evolving rapidly. In this deeply informed study, leading scholars offer the most current and definitive analysis available of Asia's regional relationships. They set developments in Asia in theoretical context, assess the role of leading external and regional powers, and consider the importance of subregional actors and linkages. 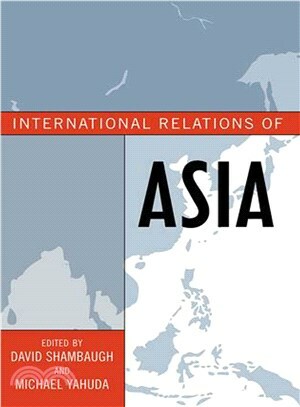 Students and policy practitioners alike will find this book invaluable for understanding politics in contemporary Asia. David Shambaugh is professor of political science and international affairs and director of the China Policy Program at George Washington University. He is also a nonresident senior fellow in the Foreign Policy Studies Program at the Brookings Institution. Michael Yahuda is professor emeritus of international relations at the London School of Economics and Political Science and adjunct professor and visiting scholar at the Sigur Center for Asian Studies at George Washington University.